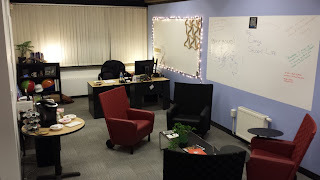 The new Office of Student Life is now open and ready for visitors! Located in the back corner of the first floor of 320 Newbury, the new Office of Student Life will serve as both office space and collaborative student space. Come check it out!